How are you? How was your week? what are you looking for this weekend? party plans, travel or home relaxing? I confess lately the only thing on my mind is to relax, take it easy... I'm still so tired! ... between shooting, editing, emails, and "planing life"... I'm trying to organise my closet - dividing clothes into "to keep, to give, to sell" and there's a LOT to do! But, before sharing more about my "adventure" with my closet or more life issues - cause I will definitely be needing your support!! 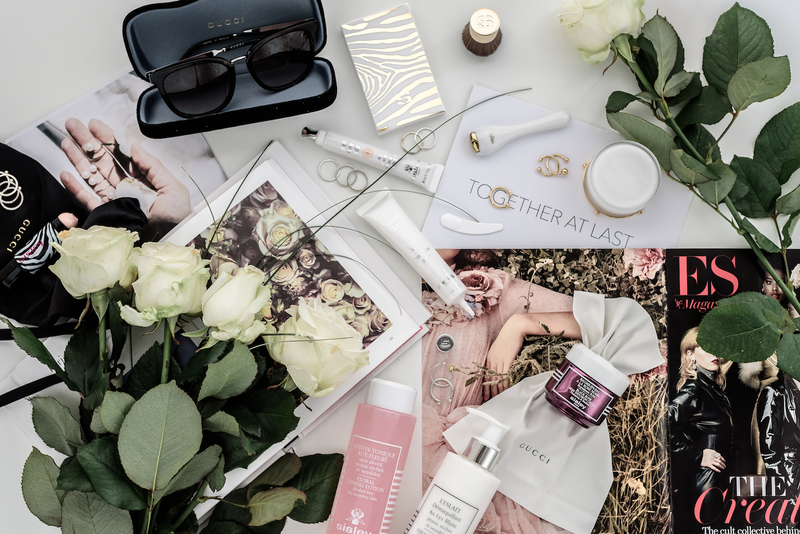 today I want to share with you, my new beauty essentials with SISLEY PARIS! I love Sisley Paris products, my skin loves Sisley products, and there are some products I just can't replace... as the Phyto Cernes Éclat, I've been using it for 3 years or more I guess, and I'm a fan of this concealer with botanical extracts! It could seem a little expensive for one buy but, it will last close to 1 year and it has the double of the regular concealer packages, so it could look expensive at first but then you'll see that in fact it's not! First I tried, loved it, and couldn't let it go! 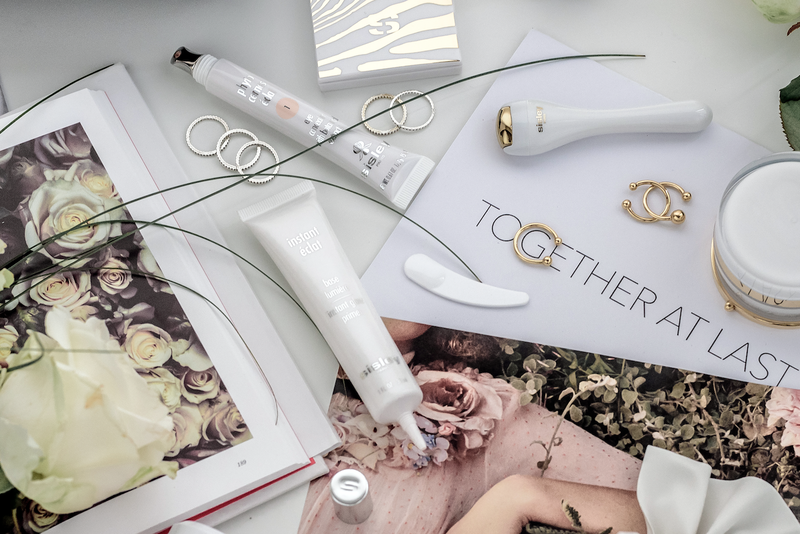 Back to the new products, I'm amazed by the NEW INSTANT ÉCLAT - you instantly feel your skin "smoothed, unified and beautified" once you apply this instant glow primer. I use it even when I'm not using foundation, love how illuminated the skin looks with this "radiance-booster" skincare magic product! New blushers to try, the PHYTO-TOUCHE SUN GLOW POWDER - this is in Golden Peach - "a tailor-made tan all year long" sounds amazing right?! I love blushers, I love to see their effect, how sweet and happy we could look with just an easy application! The thing is I'm still learning how to do that "easy application" on me 🙈🙈 Tania Grier, the Sisley Paris UK Make Up Artist ambassador, already tried to help me with this, it seems so easy when I'm with her... having a blush brush will help! I had the pleasure to meet Tania in my first Sisley Paris UK event, she is such an amazing person, I got amazed with her work, she is so talented and so kind that since then I just couldn't let her go from my life, she is one of those that just by being close to her you feel a better person and you feel like you're learning a lot - for more about Tania see her account HERE. The PHYTO-BLUSH TWIST is a long-lasting cream-to-powder blush, it's so handy and funny, and so easy to apply! After having a crush on all Phyto-Lip Twist, I needed to have this twist for cheeks :) You can apply it with your fingers, it's really easy even for someone like me that is still learning how to make-up better! I have the Papaya and the Glow, to use them together, one gives you blush and the other glow - see how HERE. 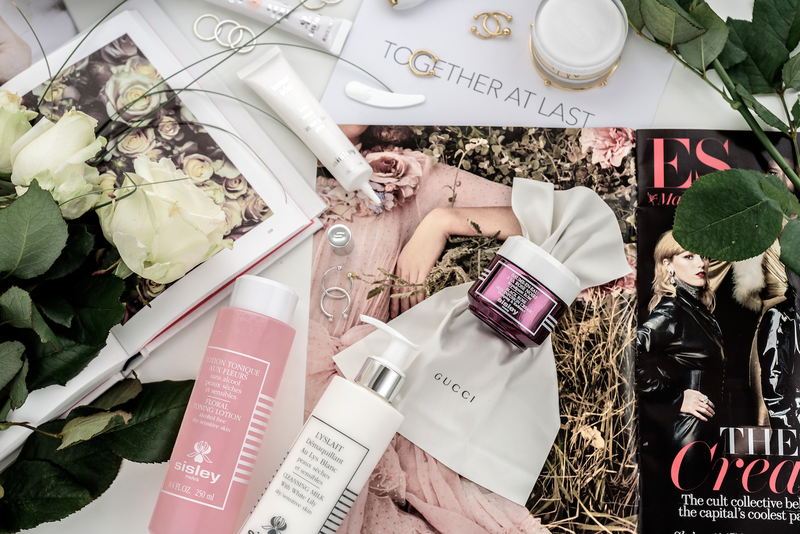 Starting October, I started using the new eye and lip contour cream - SISLEYA L'INTEGRAL, I've tried before more products from Sisleya range, that got me amazed as the Sisley L'Integral anti age face cream. Once you start using it you will notice the difference, your skin will tell you that it feels more nourished, smooth and bright, and you can see it by looking in the mirror, smiling and how softer the fine lines and wrinkles look. If you have the chance to go to a Sisley Paris corner - find the nearest to you HERE, and get the chance to test it on your skin you will see that I'm telling the true, its magic texture and result once you apply it on your skin, that's why I think it's amazing! because they're real, and they really work! Another one added to my daily beauty routine was the BLACK ROSE SKIN INFUSION CREAM, it's the first time I'm using a product from the Black Rose Collection, I'm using this for 1 week and so far, and my skin is happy with it. It's really light and fresh when you apply it, letting your skin smoothed and hydrated at touch and look! I'm so happy to get the chance to try this product, I was so curious about the Black Rose power products, with a sensitive skin I'm always afraid of trying new products and how my skin will reacts, once I try one that my skin loves I will glow just by happiness! One week with these new products and we all happy here! even if you have the opportunity to have good skin care products for your daily routine they WILL NOT work alone! the old, but so true "it will not work, less you do!" can be used here too. If you add a good product to your daily routine, even it being so powerful and show some magic it will not be able to show its complete power without being paired with good daily routine steps. STEP 2 - use a face cream and eye cream paired with a serum and SPF cream to protect your skin from environmental ageing and from sun harm (even on gloomy, rainy days). stay away from fries (those delicious crispy french fries that I'm so crazy about) and say no sugars! I could be writing about this for a few more paragraphs but this post is already too long :P so maybe I will let it for a new post, skincare and healthy habits :) you will let me know what you would love to read about! These things I didn't learn overnight, although they are pretty simple and easy to implement, when it came to do it I was either too tired, too lazy or running out of time so I kept skipping steps and even having good products, when not using them properly, I wasn't able to experience their complete magic. 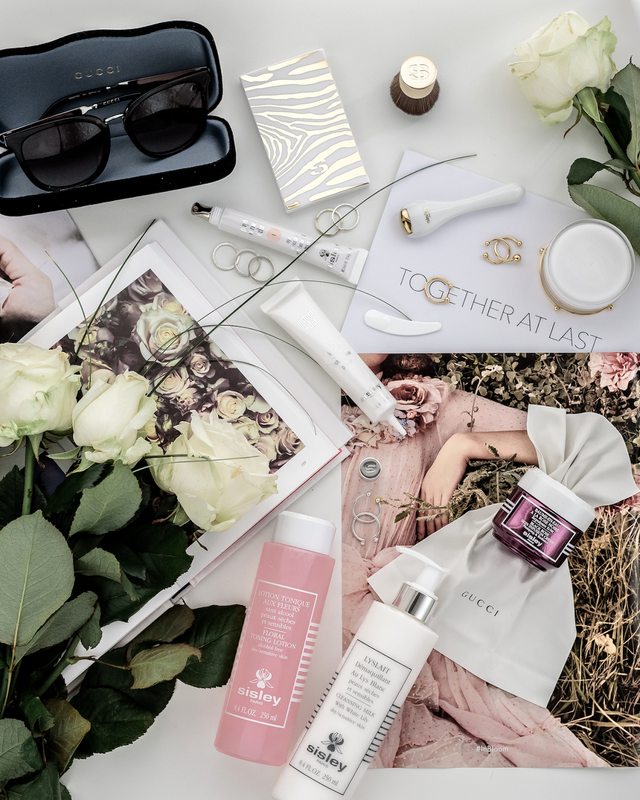 I really hope you enjoyed this post, I know it's a little bit longer than my usual, but skin care and beauty products are really important to me so I wanted to let you know how I'm feeling with these new ones I'm trying. Have a wonderful OCTOBER full of beautiful moments and beauty blooms!! Thank you so much for your comment Ines :) Really happy you enjoyed the post! ooooh muito obrigada Ana :) de coração! !